Here at I am Claims, we hope all our clients are having the very best start to the New Year. New year, new me, new us, new business….these are words that we all here on a daily, if not hourly basis, in January. Whichever statement applies to you, we can assure you here at I am Claims that we are here for you during 2019. By contacting us we can take away the stress, insurance jargon and time out of your already busy life, should you find yourself, or your business, having to claim on your insurance. 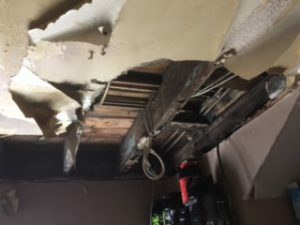 We will hand hold you, should you want it, through the process of a claim including fires, floods, burst pipes and storm damage. We also deal with the claim to completion without any hassle to you. We understand what the insurance companies want, and we know how to make sure you get your claim paid for in as quick a time as possible. 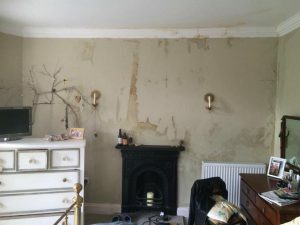 We can even help you with business’ and individuals who can help with any remedial work that maybe needed. Nobody wants to be faced with the prospect of water damage claim to their home this Christmas so preparation really is the key. 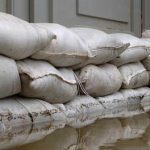 With stormy weather and heavy rain already affecting many people we want to share with you some top tips on how to prevent the worse from happening and what to do if the unfortunate strikes for those facing flood insurance claims. Make sure that your guttering and drains around your home are cleaned out regularly ensuring rain water can drain away from your home effectively. Make sure that your roof is in good condition and can cope with the winter weather and heavy rain. Loose, missing roof tiles make it easier for rain to get into your indoor space. Prevent your outdoor taps from freezing by insulating them properly and make sure that your home is heated correctly even if you are away for the holiday season. This will most certainly help in preventing the cold getting into your piping limiting the chance of a burst pipe. 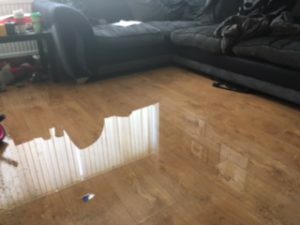 If you are unfortunate enough to suffer from flooding or water escape causing water damage to your home or commercial property this Christmas, I Am Claims are on hand to help you. 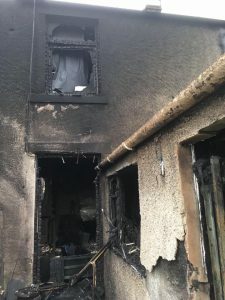 We work for you the policy holder, working with your insurance company on your behalf taking all the headache and hassle away that these situations can cause. Our Insurance claim handler, Michael Stitt recently helped a new client deal with an insurance claim for flood damage. 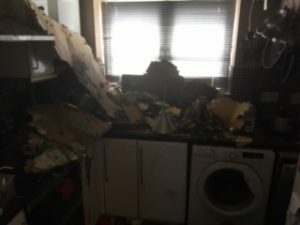 One of our latest clients suffering from an escape of water causing extensive flood damage to the kitchen and downstairs living room. 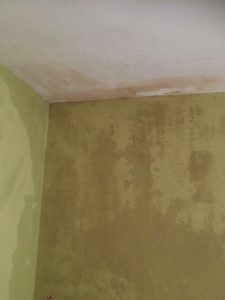 If your property suffers water damage get In touch with us today. We are here to ensure all damages are met by your insurance company so you can get back to normal life as soon as possible. “We could not begin to know where to start to thank Michael and his team at ‘I Am Claims’ for their help during our resent flood. They went above and beyond the call of duty to be helpful, informative and totally professional during a time when we felt very much out of our depth. Any questions we had, were answered immediately, any uncertainties or queries, were all explained, we were made to feel like we were listened to and looked after with every aspect of our insurance claim. We would NEVER have any issues with recommending ‘I Am Claims’ to anyone. 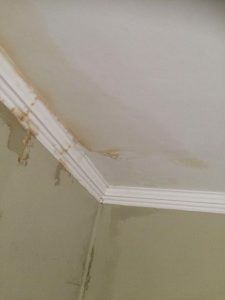 We have recently been instructed to act as an independent loss assessor in Lancashire to deal with a Burst Pipe/ flood insurance claim from a burst pipe. 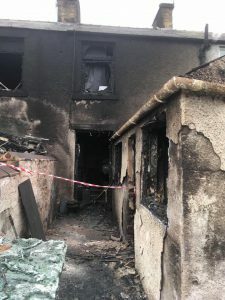 We have recently been instructed to act as an independent loss assessor in Clitheroe to deal with a House Fire insurance claim. The UK is set to brace itself this month for plummeting temperatures and freezing conditions. The Met Office have said that the temperature is likely to dip by two or three degrees with most of England likely to not rise above 5C. 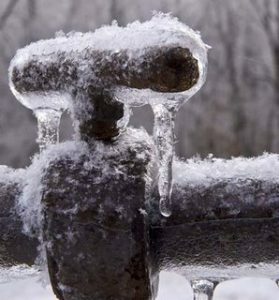 With experience I Am Claims Consultants know that with freezing temperatures comes frozen pipes. If frozen pipes occur to either your home or business property and lead to an escape of water this can cause massive disruption. Are You Prepared for Frozen Pipes? If you suspect that your pipes have become frozen and to prevent an escape of water occurring ensure that you turn off your stop tap which is normally found under the sink and begin the process of thawing out your pipes with a hair dryer or towel soaked in warm water. If the worse does happen and your pipes burst then turn off your mains water supply to stop any water entering the pipes and escaping. At this point you may need an insurance claims service to help with rehousing and replacement possessions. This is where I am Claims steps in on your behalf. At I Am Claims Consultants our team of qualified loss assessors tackle your home or commercial insurance claim on your behalf so you can re-gain control of your life. 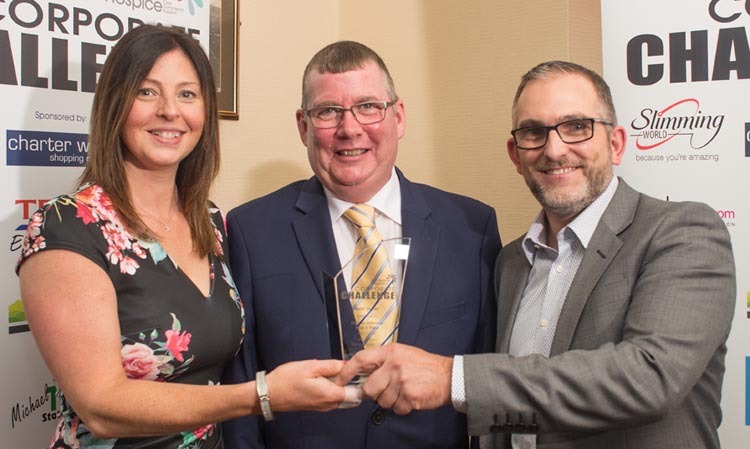 I am Clams were very proud to be the sponsors of the Best Event Category at the recent Pendleside Corporate Challenge Awards. The Corporate Challenge saw businesses from across the area taking part in the challenge to turn £50 into as much money as possible for the hospice. 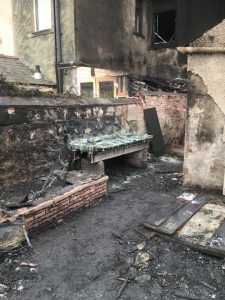 All monies raised through the challenge and sponsors support go directly towards caring for those in the community that need support during the most difficult of times. The winners of the Best Event Category were Clearly Interiors.